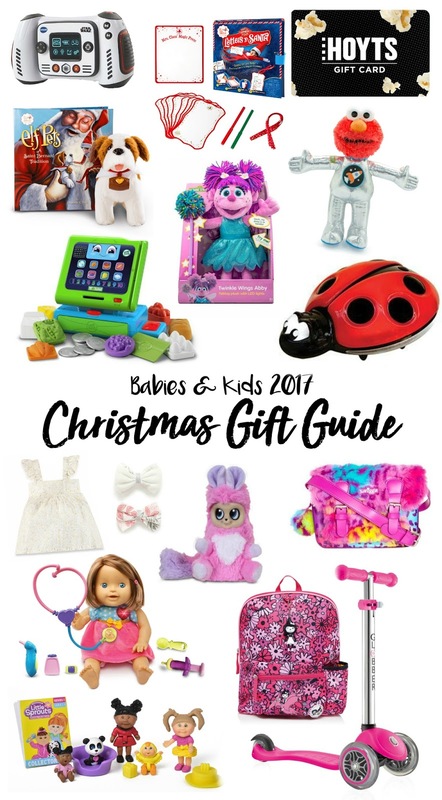 On Monday I shared our Men's and Women's Christmas Gift Guide for this year - and today I want to share our kids' gift guide with you all! Whilst Jesse and I don't have our own kids yet, we're lucky to have plenty of friends with kids who we can spoil because kids always seem to have more fun. Sesame Street has been a kid favourite for 48 years - and it's still a favourite today. This year kids can snuggle and play with their favourite characters at home with their new range of toys. 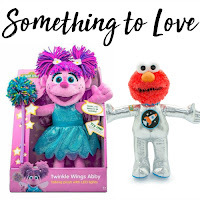 Choose from Space Elmo (RRP $29.99), Twinkle Wings Abby Cadabby (RRP $54.99), the new and improved Tickle Me Elmo (RRP $44.99) and more. Available at all leading toy retailers. What better way to get kids to learn than through play? 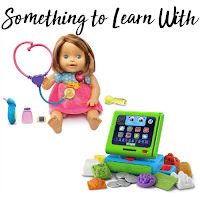 VTech are always are go-to for toys that are not only fun and safe to play with, but toys that teach important skills too. 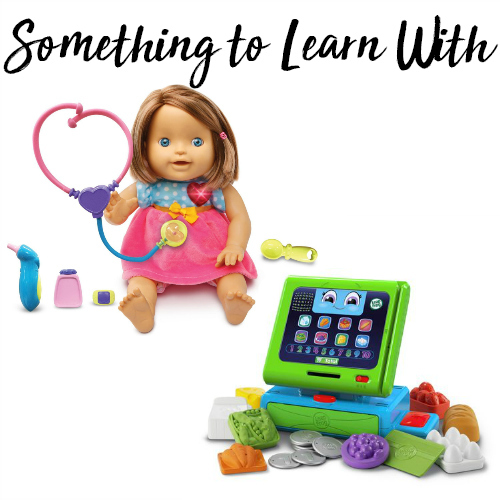 This year VTech have the Little Love Cuddle and Care Doll (RRP $59.95) that encourages nurturing role play and teaches kids a basic understanding of health concepts as they care for their doll - and the Count Along Register (RRP $39.95) that helps kids learn their numbers, colours and objects as they scan and find their grocery items and pay for their shopping. These toys and VTech's other toys are available at all leading toy retailers and department stores. 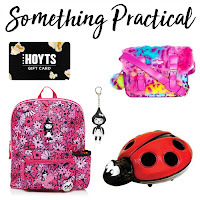 A HOYTS Movie GiftVoucher (for the whole family! )Let the kids pick the movie and enjoy a trip to the movies! 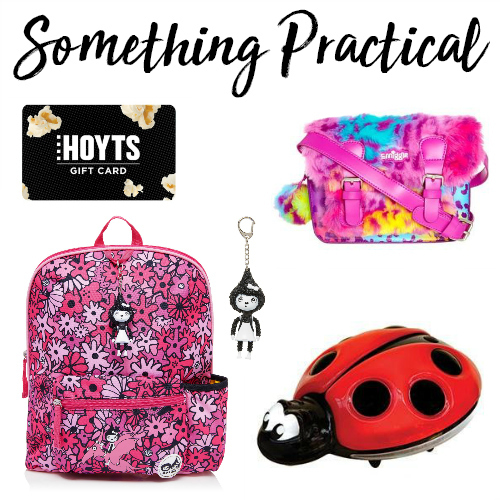 HOYTS play the latest releases and have plenty of popcorn and lollies to make a movie trip into a treat for the whole family. Available online at the HOYTS Gift Store or at your local HOYTS Cinema. A Fun Bag for School or Play Got a little one heading to preschool or daycare? A Zip and Zoe bag is the perfect gift! Made by Babymel, they are super high quality and you can also purchase a huge range of matching accessories - from water bottles to ice packs and lunch bags. For play? Why not try Smiggle. They have a huge range of Kids Fashion Bags that will no doubt be taken everywhere! It's no secret that kids grow fast. 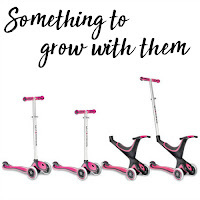 So any present that can grow with them is a good one in my books! The EVO 4-in-1 Scooter is perfect for ages 1-6 as it can be a pushchair, ride-on and scooter at two different heights. Available in a range of colours at Globber or your local Globber Stockist. Purebaby have the sweetest range of quality organic baby and kidswear which would make the perfect Christmas gift - or Christmas outfit. Some of our favourite picks? 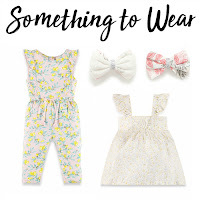 The Passionfruit Jumpsuit ($49.95) for toddlers and little ladies, the Marigold Flutter Sleeve Dress ($54.95) for bubs and these gorgeous Piueapple Broderie Shorts ($39.95). And because you can never have too many accessories - check out their accessories too! Be sure to take a look at our Instagram to see the photos of these outfits on some of our favourite girls! You can't forget the big kids! We're lucky to have some awesome little dudes in our life - and Jesse is especially lucky that they like all the cool gadgets that he wishes he could have for himself. The best picks this year? The VTech Star Wars Storm Trooper Video Camera (RRP $89.95) that is tough and durable to withstand drops and falls and also has cool Star Wars effects and voice changing features for them to play with. Our other picks are a modern twist on the old classics. 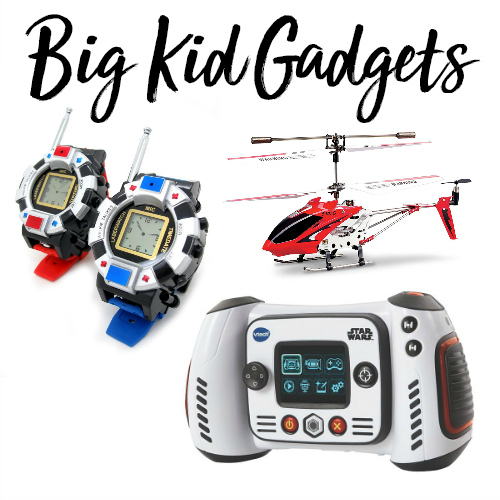 These Walkie Talkie Watches ($14.99 for the pair - available worldwide) and this Remote Control Helicopter ($19.99 - available worldwide). 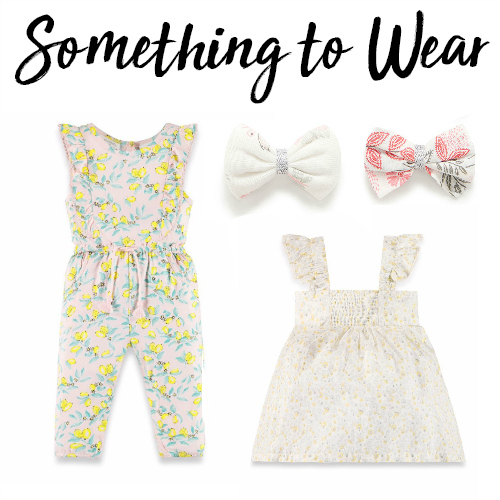 Looking for a little something extra? Here are our picks. 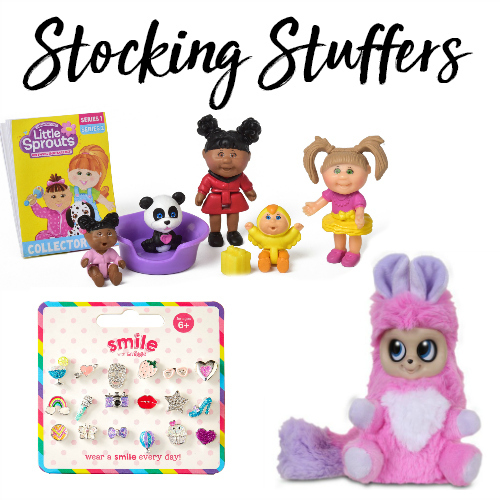 Smiggle is always our go-to for stocking stuffers as they have so much good stuff. 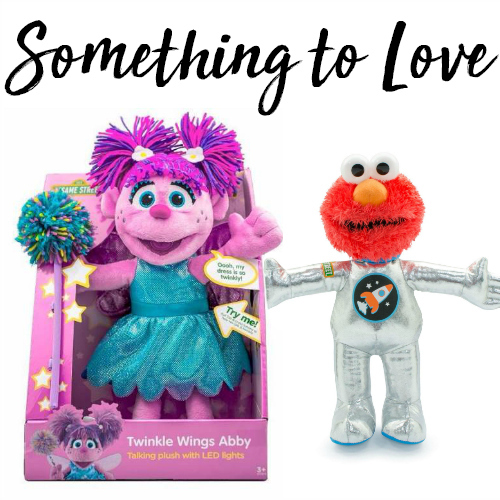 From pens and stationery items to games and even their new Smiggle Smile jewellery range, you're sure to find something they'll love! Cabbage Patch dolls are always back on trend and this year they have the cutest Cabbage Patch Little Sprouts (RRP $5.99) that are a collectable range of 120 little dolls and accessories. Bush Babies are also a new collectable that kids can't get enough of. The Dreamstars are $16.95 and super cuddly and cute. Available at all leading toy retailers. For the Elf on a Shelfers! Does your house have an elf scout? If so, you'll LOVE the new Elf on the Shelf traditions. This year you can get Elf Pets: A Saint Bernard Tradition, which is a heart warming tale that encourages children to do their own acts of kindness (and comes with their very own Saint Bernard who watches to gather up their kindness magic to bring back to Santa on Christmas Eve), Scout Elves at Play which will help Mum and Dad (or whoever is in charge of moving the elf each night!) 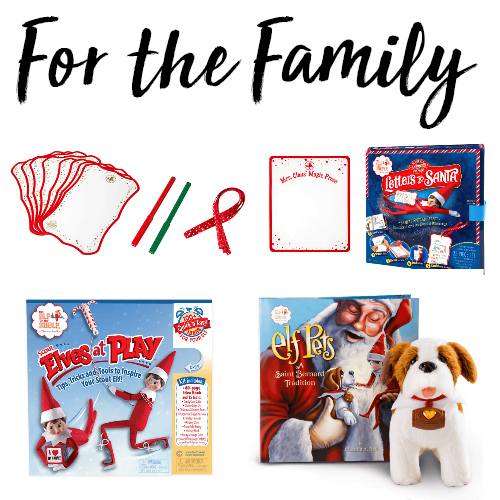 with plenty of fun ideas and accessories for silly elf fun - and the Scout Elf Express: Letters to Santa Pack where kids can write their own letters to Santa to shrink down and send off with their elves! Your elf will then bring that letter back so that you can turn it into an ornament keepsake to look back on in the years to come. 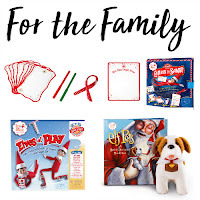 All of these traditions and the original Elf on a Shelf are available at Myer Department Stores, Dymocks Bookstores and select independant retailers or you can find them on Amazon here if you're international.